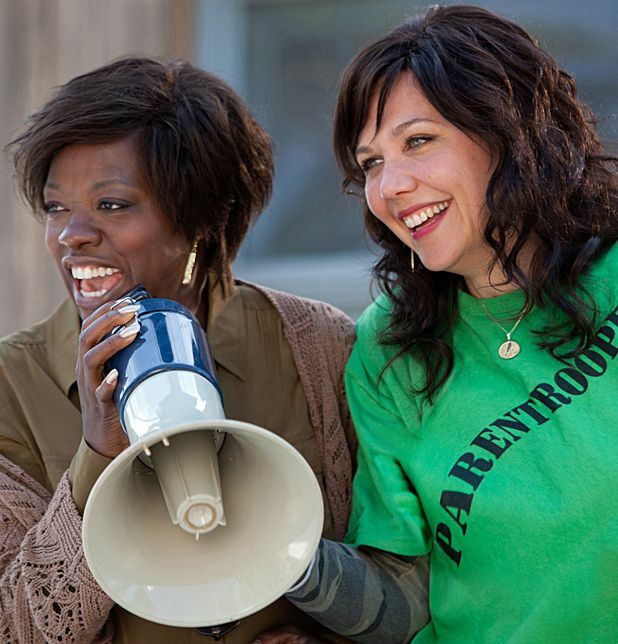 Oscar-nominated turns in Doubt and The Help have given Viola Davis the kind of clout where studios trust her to carry a film, but she’ll have to make better choices than Won’t Back Down, a manipulative drama pairing her with Maggie Gyllenhaal as single mothers fighting to improve the quality of teaching at their local elementary school. Whatever the issues are, and the negative stance on unions presumably reflects the views of production company Walden Media, who also produced the similarly themed, pro-charter documentary Waiting for Superman, Won’t Back Down doesn’t do much to stoke debate. Instead, writer/director Daniel Barnz offers a bland infomercial encouraging earnest community activism, as Nona (Davis) and Jamie (Gyllenhaal) travel on door-to-door missions in Pittsburgh, Pennsylvania, persuading reluctant parents to join their cause. Although the odds are constantly described as being stacked against Nona and Jamie, the process of raising the required amount of parental signatures is easily achieved over a few upbeat montages, but conflict belatedly arrives in the form of union reps Arthur and Evelyn (Ned Eisenberg and Holly Hunter), who pay lip service to pro-union sentiments before deviously attempting to sabotage the moms’ quest. Coming on the back of the appropriately named teen drama Beastly, Barnz skips any real issues in favour of trivia, namely Jamie’s romance with a ukulele-playing hunk (Oscar Issac). The film also suggests that if half of local parents back educational reforms, they can control their school. This is pure fiction for most of the US, as is the film's equally improbable courtroom finale featuring a judge who changes her mind according to the amount of cheers from the gallery, like a talent show host. ‘Dumbing down’ a film about educational reform defeats any point; while proficiently made, Won’t Back Down’s glib feel-good message deserves to fall on deaf ears.